A pattern pyramid has been formed! I was a lucky recipient of the goods and I'm stoked to be able to pass the goods on to one of you. 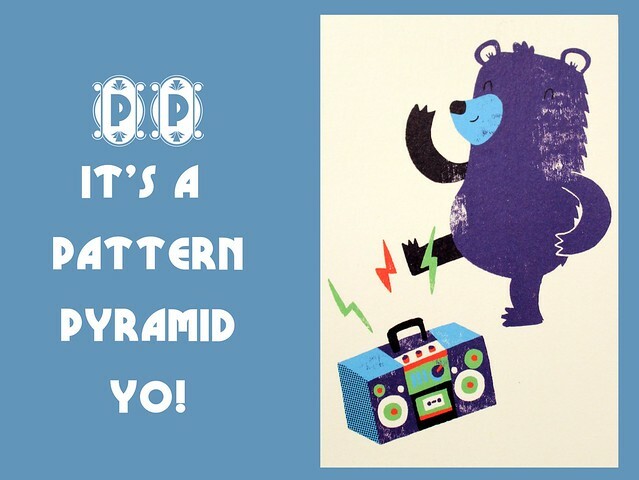 This pyramid is jammed packed with some rad patterns. Why you ask of my use of words like rad and stoked...uhhmm I haven't a clue...Legend has it this pyramid formed in Australia, making it's way to the UK and ending up on my doorstep in a tiny little town in Indiana. You can thank Amy of Almond Rock for that adorable image of the purple bear rocking out to his air guitar. I only wish I find something just as adorable to include in the package to one of you lucky winners. 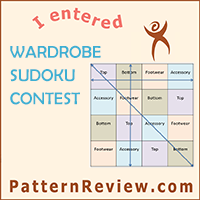 There are close to 20 patterns to choose from. I had hard time narrowing it down to just these three. 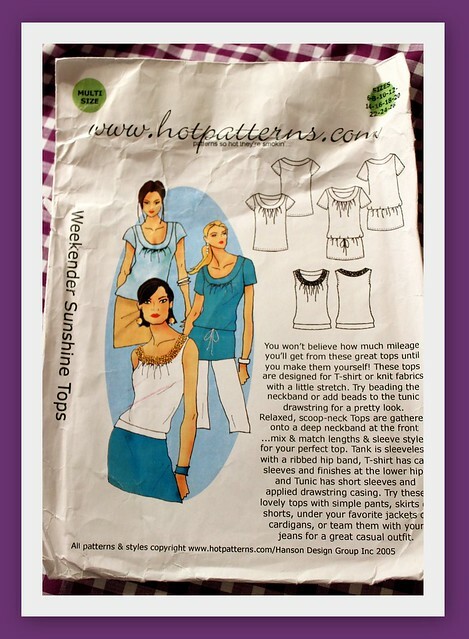 Vintage Simplicity 6529 - I don't know if I'm more attracted to the envelope design or the actual pattern. Just look at that girl in the yellow. She's so damn happy, I wanna be her for a sec. 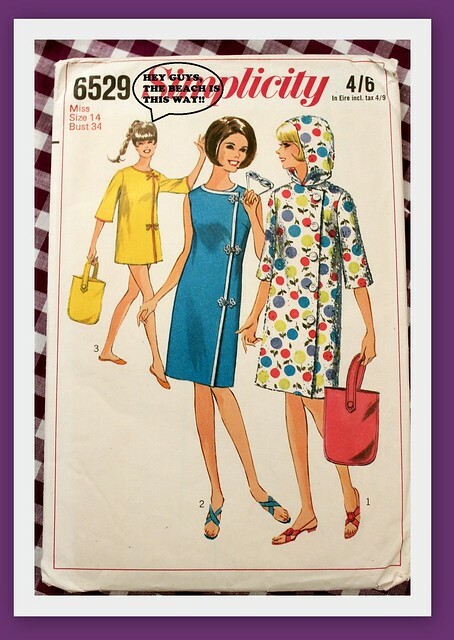 Vintage McCall's 8420 - What's not to love about a shift dress and a yoke jacket? But look at the price back in 1966 - ONE Dollar! 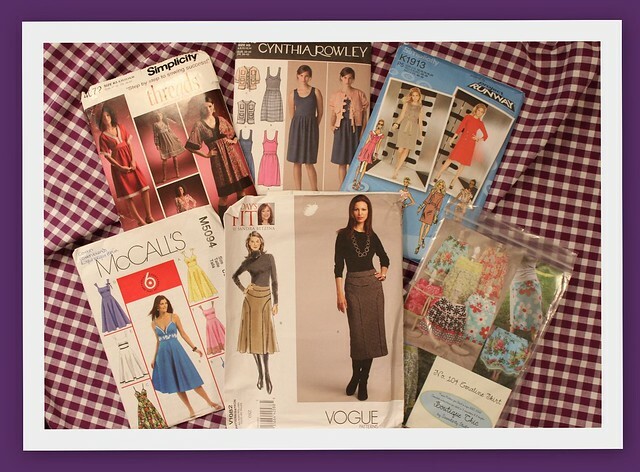 Nowadays ya gotta wait for a Joann 5 for $5 sale to get a McCall's pattern for a dollar. Vintage Butterick 3552 - A flared leg jumpsuit!? Whaa What!? Once again I'm intrigued by the girl in yellow. So how would you like to pick a pattern from this giganitc stash?? To enter this giveaway all you need to do is comment below and tell me what's your dream vacation. This giveaway is open internationally! To enter you must have a blog, Twitter, Facebook or Instagram account where you can share the giveaway to others. I will pick a winner on Sunday, March 2nd. Oh, sorry, got too excited and jumped the gun, my dream vacation is an open-ended ticket to travel europe and south america with an unlimited time constraint. I can figure out logistics and I don't even need to have unlimited budget, cuz I'm fancy and thrifty like that. Just time. My dream holiday would be a week trekking in Vietnam followed by a week on the beach in Thailand. Also I was going to say I'd have a hard time choosing a pattern but my hawk eye spotted a cape pattern! My dream vacation would be a week in the mountains... probably Northern Italy, Bolzano :) Thank you for the giveaway! Dream getaway for someone who sews? Paris, of course! I would visit Paris and take my time strolling all of the designer shops and enjoying crepes of course. I love crepes! Me and my boyfriend have always dreamed of doing a three week food and music marathon somewhere cool. We'de eat at local restaurants, peruse markets for fresh local produce, hunt for vinyls and vintage clothing, hit-up small bars and venues for awesome shows and do it all over again! Portland Oregon is up there on our list of places, but our ultimate escape could just as well be in Paris, London, Singapore, etc. 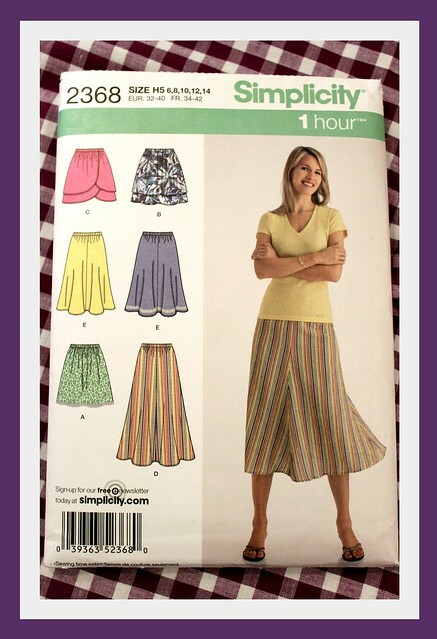 Oooh, I’ve been looking for something exactly like Simplicity 6942, and it’s even my size! My dream vacation would be a trip across the USA, visiting all of the cities I’d love to see someday (NYC first, of course, given that I’m a European and NYC is some kind of a symbol for us (; ) and meeting lots of people I’ve met online in person! It would probably take me at least half a year to do everything I’d want to do, so no, no chance of doing it anytime soon. But you asked for a dream, not reality! I'd go back to Vegas. I love love love Vegas. I'm sure there'd be a wedding dress-type pattern in that gigantic stash! This is completely amazing! I dream would be to go to Japan or back to Taiwan. My DREAM vacation would be a cruise with ALL my family and friends! My dream vacation would be a year long world trip. Guess I'll keep on dreaming! Oh I just love this! My dream vacation is to go back to Maui with my husband. And hello, new fan here, obvi because you have a pug (me too) and sew (me too!) which means we are now friends. Wow, there are some beautiful patterns there! Fabulous choice - not sure how you managed to narrow it down though! My dream vacation would be to go anywhere, I haven't been on holiday since I was 15 (I'm 26 now) so I wouldn't mind where I was going! Dream vacation? Almost anywhere in the world would be amazing. South America, Thailand again, Hawaii, even Antarctica (really!). I think I've put my name in for this pyramid before - fingers crossed. What a fun idea! My dream vacation would be to go to Madagascar! Dream vacation is always to the island of Hvar in Croatia to see mum and dad. Unfortunately, don't get there enough! Caribbean! I love the sun. 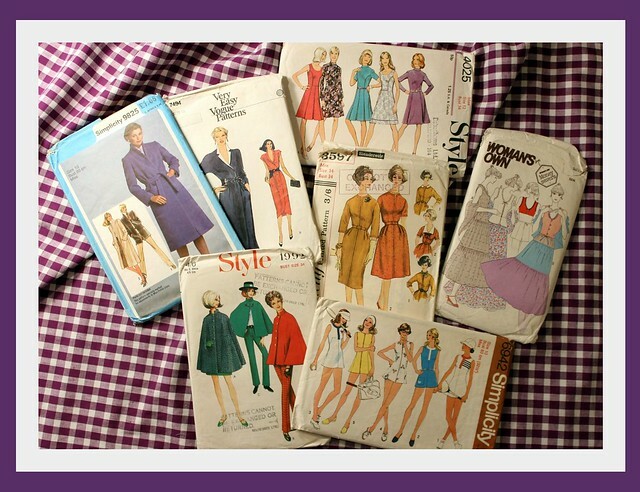 What a great stash of patterns! My dream vacation is to spend a couple of weeks in Melborne, Austrailia. I lived there for a while and loved it! I'd love to play at the beach off St Kilda Rd and visit the beautiful parks. Hope I'm not too late! Dream vacation: NY fabric district, definitely!